Few shoes has caused more hysteria lately than this one. We saw some of this type of commotion in December when Jordan Brand retroed the Air Jordan 11 concords. By the time of the release, we had about 18.000 people online all trying to get the same shoe before our server crashed. Our servers are pretty good, but to hold for 18.000 people all loading and refreshing the same page was just not doable. 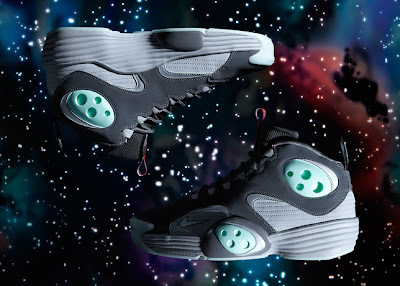 The Galaxy pack was intended for the NBA All Star game that takes place in Orlando this weekend. Orlando being close to the Kennedy Space Center is one connection. Anfernee 'Penny' Hardaway is another. 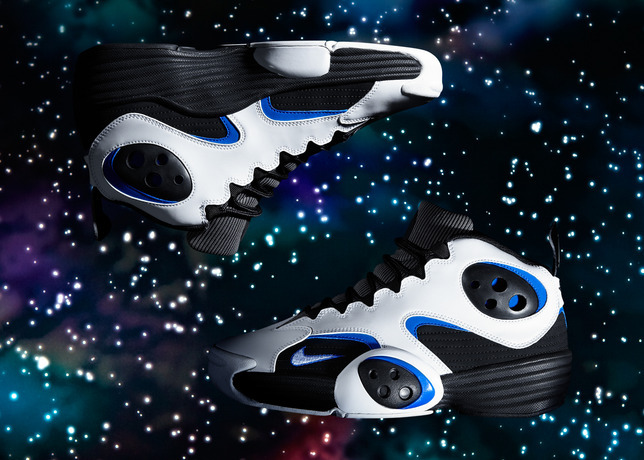 With the classic no 1 on his back, he was given the signature shoe Nike Air Flight One back in the mid 90's. He was also the player to get the groundbreaking "one-piece-molded" Nike Air Foamposite One in 1997. So to re-release those shoes and trying to create some hype (and that was some hype) for the All Star Weekend makes perfect sense. But for some reason, most likely due to delays, Nike Europe has pushed the release of the Nike Air Foamposite Galaxy, and the two colorways of the Nike Air Flight One until next Friday the 2nd of March. 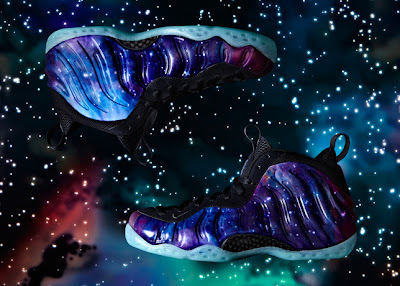 Since our servers could not stand the 18.000 hunting for the Concords, we will not release the Nike Air Foamposite Galaxy online. We will post pictures and show you the shoes as soon as we get the delivery (some day next week). But they will not be available to purchase online. We realize that this will disappoint a few of you, but trying to serve the demand with those limited pairs we will get is impossible. After all, judging from the crowd in Orlando last night, there should be a line outside Sneakersnstuff in Stockholm next Friday. We will release the two colorways of Nike Air Flight One online 1 hour after the instore release on Friday the 2nd of March. Instore release date 2nd of March @ 16.00 @ Sneakersnstuff Åsögatan 124, Stockholm.